This Five Star 6-Pack makes for a great gift! 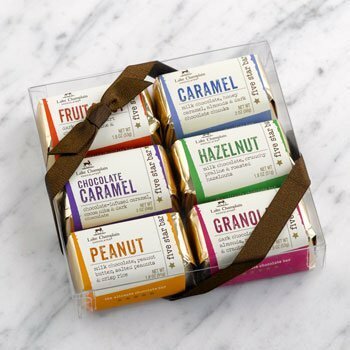 Enjoy each of our 6 popular Five Star Bars, packaged in a clear gift box. These are the ultimate treat! Flavors include: Hazelnut, Fruit & Nut, Caramel, Peanut, Chocolate Caramel, and Granola.